The Mavericks, Hey! Merry Christmas! $20 standing room tickets will be available at the Modlin Center box office on a first-come, first served bases beginning at 6pm the night of the show. The genre-defying Mavericks are putting their own twist on the holidays! In support of their upcoming album Hey! Merry Christmas!, The Mavericks are bringing holiday cheer to the Modlin. 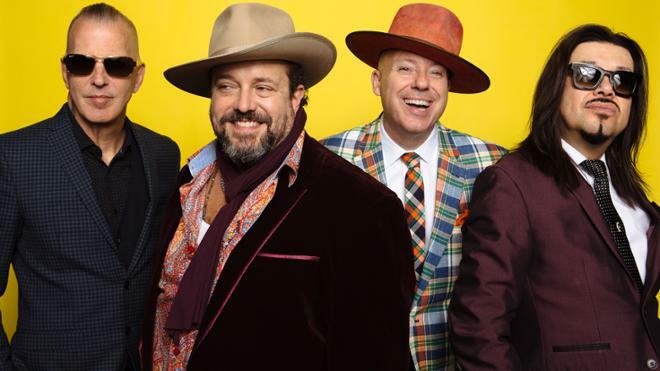 Blending elements of rock, swing, soul, Latin, folk, blues, and country has been a unique hallmark of The Mavericks’ sound and has netted the group a long list of awards and nominations from the Country Music Association, Academy of Country Music Awards, and GRAMMYⓇ Awards. Join us for a new Christmas tradition the whole family will enjoy!